So, apparently there's more snow coming. There's also a little irony in this. I'd written a post for Meatless Monday (not yet published) and in that post I'd tempted fate by stating how much I love the snow. Oops! Sorry. 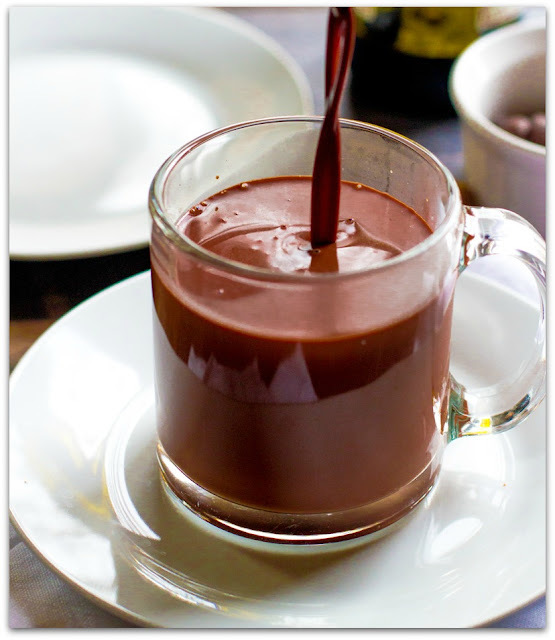 ☹ With the first SNOWMAGEDDON of the season due to hit the Northeast this weekend, I thought that I'd finally share my world-renowned hot chocolate recipe and a little healthy snack to go with that indulgent hot chocolate. For me, there's something very sentimental about hot chocolate when it snows. It reminds me of my childhood when my brothers and I would make a game of shoveling the snow and knowing that a delicious chocolate treat awaited us when we were finished. 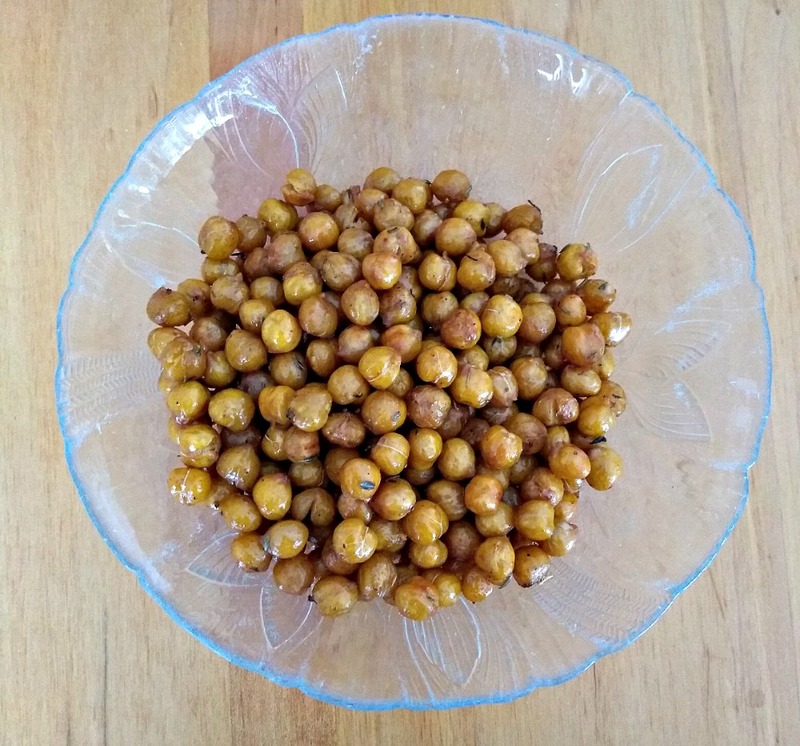 Today, Chick Peas replace chips for a super satisfying and healthy snack to off-set all that chocolate! Combine milk and sugar in a small saucepan and place on the stove top over medium heat and bring to shimmer. Add chocolate chips and reduce heat. Gently whisk to combine. Add cocoa and gently whisk to combine, take your time. Next, add the brown sugar, cinnamon, vanilla and salt. Stir to combine -- about 3 minutes -- and enjoy! 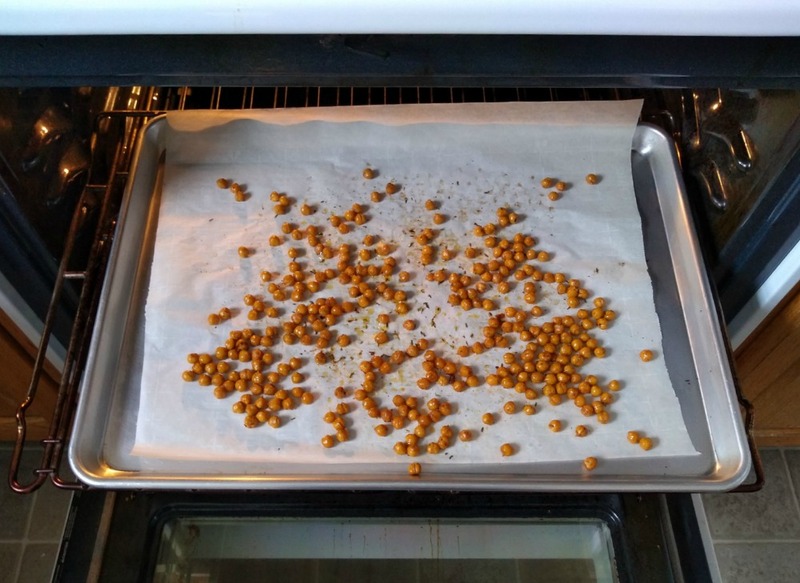 Spread the chickpeas in a single layer on a baking sheet. It's ok if they are still a bit wet, they will dry out in the oven. Bake 30 minutes, stopping to shake the pan every now and then. Remove the chickpeas from the oven and carefully add the hot chickpeas to a bowl along with the olive oil, chili powder, thyme, and salt. Toss well to coat the chickpeas evenly. Spread the seasoned chickpeas back onto the baking sheet and return to the oven for another 10 to 15 minutes until they are golden and crispy. Remove from the oven and let cool slightly before snacking!